LONDON - Turnout numbers for Sunday's controversial vote in Venezuela have been "tampered with", the company that provided the voting system alleges. Venezuela's electoral authorities said more than eight million people, or 41.5% of the electorate, had voted for a new constituent assembly. But the CEO of Smartmatic, Antonio Mugica, said the actual turnout was inflated by at least one million. Venezuela's electoral council dismissed the allegations as "baseless". Threatening to open legal action against Mr Mugica, the council's boss Tibisay Lucena called it an "irresponsible accusation, based on estimates". What did the voting firm have to say? "It is with the deepest regret that we have to report that the turnout numbers on Sunday 30th July for the Constituent Assembly in Venezuela were tampered with," Mr Mugica told a media conference in London. He added that although the company's system had recorded the true number of voters, a full audit would have to take place before he could give the precise figure. Asked why he had not contacted the Venezuelan authorities, Mr Mugica said he thought they "would not be sympathetic to what we'd say". 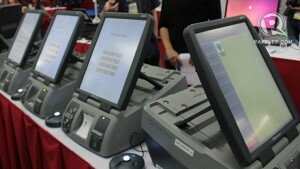 Smartmatic provided about 24,000 machines for Venezuelans to cast their votes electronically. According to the company, their system supplied correct voting statistics but altered results were announced in their place. Separately, the Reuters news agency reported it had seen an internal memo from Venezuela's electoral authorities saying fewer than four million votes had been cast just two hours before polls closed. During the vote, Venezuelans were asked to select more than 500 representatives to make up a constituent assembly. The new body has the power to rewrite the constitution, sidelining the opposition-led National Assembly. President Nicolás Maduro argued the constituent assembly would promote "reconciliation and peace" after months of crisis. But the opposition, which boycotted the vote, saw it as a power grab by the president. Turnout is seen as crucial in the vote. Given that the opposition refused to field candidates, the figure gives an indication of support for the government. The National Assembly has approved a request to open a criminal investigation into Smartmatic's claims.